Quantum Internet Solutions Ltd. 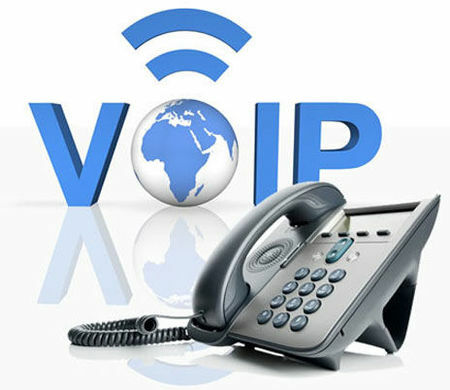 Provides VOIP Phone Systems for Business Starting At Just $35.00+GST per User per Month! Branch offices expand the reach of your company, but it can sometimes feel like they’re stretching the reach of your company resources too thin. Inter-office communication is essential to your business success. Staying connected to all branch (and any other remote locations) can be challenging. Here are 3 common problems with inter-office communication along with possible solutions. 1. Connecting multiple phone systems is complicated and costly. Networking the communications systems between all offices requires professional expertise. Depending on the size of your organization, the time and money involved in the set up and maintenance of your communications network can negatively impact your business costs. Solution: A centralized (cloud) phone system easily connects to as many remote offices as necessary. A cloud phone solution simplifies connectivity so much that you won’t have to hire professionals to maintain it, and adding lines and extensions can be done as your business grows. This saves you a significant amount of time and money. Enterprise features included with your cloud phone system can streamline communication. For example, Auto Attendant can act as your virtual assistant, directing calls to the appropriate branch or department. 2. There is disconnect and miscommunication happening between offices and departments. A lack of effective communication between offices and departments can cause many problems. Customer services will suffer, eventually affecting your bottom line and your company’s reputation. Staff becomes frustrated, company morale decreases, nobody’s happy. Solution: Keep your entire team on the same page at the same time through video conferencing. Every office and department can be involved maintaining a cohesive environment where ideas and innovation flourish. Even employees who are traveling can stay connected without missing a single minute of important communications. Mobile extensions allow remote workers and on-the-go employees to be available wherever they are. Calls can be re-routed easily. Voicemail-to-Email or Voicemail-to-Text features make staying on top of messages a breeze. 3. As your business grows, the cost of expansion spirals up. It’s exciting to grow your business until you realize that you can’t afford it. When you need to expand into a new location, your communications system needs to expand, too. The costs involved in scaling your business can sometimes become prohibitive. Solution: With a cloud phone solution, scaling your business as needed is seamless. You pay only for what you need, when you need it. Adding or removing lines can be done in minutes. Easily and affordably equip your growing team with the technology necessary to maintain effective company-wide communication. Simple, effective, and affordable communication is possible between all office locations. Talk to a Quantum Internet Solutions specialist to learn more about the features available with a cloud phone solution. A hosted phone solution makes the hospitality industry a little easier for everyone. Here are 5 benefits of a hosted phone solution for long stay hospitality and travel resorts. For more information on the features of a hosted phone solution for your resort or long stay hospitality business, contact a Quantum Internet Solutions specialist today. Starting a new business requires careful decision-making. Choosing the right products and services to use involves determining the potential of each one to increase profitability and to help you grow your business. Making a wrong choice can have a substantial, detrimental – and even fatal – impact on the success of your company. Setting up and maintaining any modern technological system can be expensive. Quantum Internet Solutions gives enterprise phone system features at small business prices. The cloud-based phone system replaces the need for costly hardware and complicated setups and eliminates long-distance and maintenance costs. Our hosted phone system includes enterprise-grade calling features at no additional cost. 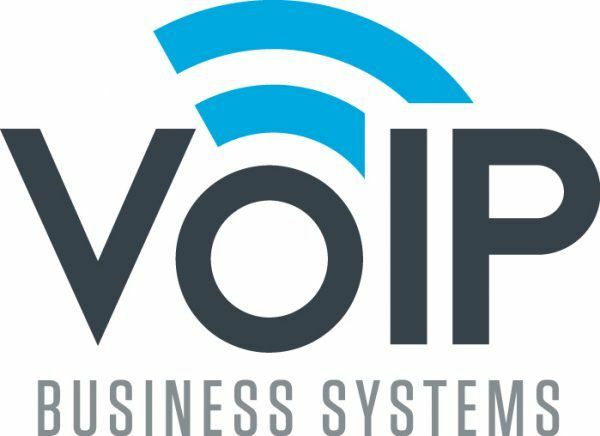 Just a few of these features include integration with CRM (customer relationship management) software, voicemail-to-text, voicemail-to-email, conference calling, call forwarding/screening/recording, call logs, automated attendant/virtual receptionist, and many more. For any startup company, time is money. Don’t waste yours on fussing with technical issues or learning complex systems. The Quantum Internet Solutions system is simple to use and includes technical support. Because our solution is cloud-based, you no longer pay for expensive technicians to show up on-site. You’re enabled to make your own changes from anywhere at any time, or call us to remotely support you. Increase productivity for your entire team using virtual conference capabilities and easily sharing information and data for collaboration purposes. When starting a business, there’s no such thing as “regular office hours”. You’re “on the clock” at all times, and your workplace happens to be wherever you are. A cloud phone system is perfect for mobile and remote workers, allowing you to stay productive and connected no matter where you are or what time it is. As your business grows, so will your staff. With a hosted phone system, equipping your team with the technology they need is seamless, efficient, and cost-effective. The Quantum Internet unified communications solution enables owners and managers to see who is using the system, how it’s being used, and when it’s being used. Real-time reports and analytics allow you to streamline business protocols and make informed decisions about running and growing your company. Starting a business is challenging (and exciting). Eliminate some of the common hassles, limitations, and expenses that can come with conventional phone systems. 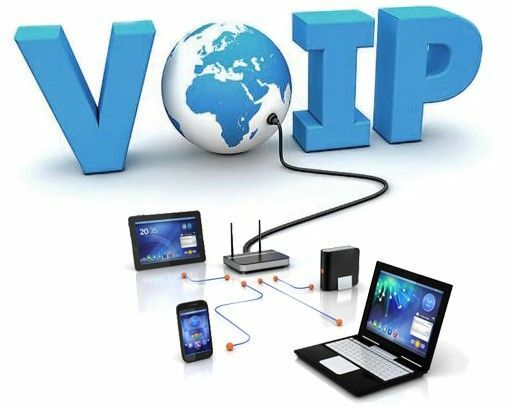 Choose a Quantum Internet Solutions hosted phone solution. Contact us today to find out more about how your phone system can get your new business started on the right foot. Professional service is a must for any successful accounting firm. With a cloud-based phone solution, your accounting team can focus on doing their best work and offering your clients top-level customer service. A hosted phone solution can improve your accounting business. The system can be customized to meet your specific business needs. A hosted phone system is full of features that save costs. Without having to maintain hardware or purchase software, you save money from Day One. There are no added IT support costs, unlimited long distance calling is included, and working remotely is easy and seamless due to video conferencing. As your accounting business grows, your team will grow, too. With a hosted phone system, scaling your business is simple - no new phone lines or extensions are required. A cloud phone solution is on a private, secure, and reliable network. Using industry-standard security practices, a Quantum Internet Solutions system enables you to protect data, helping you to establish & maintain trust with your clientele. Set your accounting firm up for success with a hosted phone solution. Save costs, build and maintain trust, and provide professional service with every client interaction. Contact a Quantum Internet Solutions specialist to learn more about how a hosted phone system can take your accounting service to the next level. When comparing the costs of a premises-based phone system and a cloud phone solution, the long-term costs must be considered – not just the initial hardware and installation. There can be hidden costs due to hardware/software limitations. There are 10 main factors that contribute to the costs of any phone system. Ask the following questions to help you determine which system has the best value. Mobile integration with all phone systems are not equal. With a premises-based system, mobile integration can be cumbersome and costly. Integrating mobile calls with a cloud phone solution is seamless and affordable. How is mobile integration supported on this system? Are calls routed in and out of the system? If so, what are the additional costs involved? On-premises systems do not have an infinite storage capacity. When you run out of space on your servers, you are unable to record any more calls. With a cloud-based system, your storage is delivered via the cloud, freeing you of the worry about on-premises storage capacity. What is the call capacity? What does it cost to increase the call capacity? In today’s ever-changing technological landscape, staying up-to-date is more important than ever. Wanting to add a new feature to your system only to discover that your hardware doesn’t support it is frustrating. The hardware of a premises-based system typically has a lifespan of 7 years. Cloud-based systems are an evergreen solution that continually adds new features and improvements. What is the lifespan of this system? Can it still be upgraded? Is the manufacturer still developing features for it? If so, for how long? With premises-based systems, maintenance costs must be factored in. You cannot afford hardware failure, resulting in loss of communications (even temporarily). With a cloud phone system, direct maintenance costs are not your responsibility because the system hardware is located elsewhere. What are the annual maintenance costs of the system hardware? What are the annual maintenance costs of the system software? How much can costs be expected to rise as the system ages? Integrating your phone system with your CRM (Customer Relationship Management) system can greatly increase your productivity, streamline communication, and enhance the level of customer service your business provides. Third-party integration with an on-premises system normally requires a system integrator, which is an added cost and can be a complex task. Integration with a cloud-based system is generally easy and can be switched on and off with the click of a button. Which third-party applications has this system been integrated with? Sometimes bad things happen – for example, flooding, fire, or electrical failure. When your communications system is impacted by unexpected events like these, you need a back-up system in place. With a premises-based phone system, adding site redundancy will also add an extra system to your costs. Because a cloud phone solution is hosted in the cloud, your business communications service is always available on multiple devices. Redundancy is automatic. How does the system handle calls if equipment is lost unexpectedly? A premises-based system has built-in limitations. The more features you add, the more you need to upgrade your system. This always comes at a significant cost. The performance of your cloud phone solution is always optimized. The cloud has virtually limitless capacity for processing power, no matter how many features you might add. Will the system slow down if we add features? If an upgrade is required, what is the cost? Your call volumes can fluctuate, depending on the time of day, week, or year. 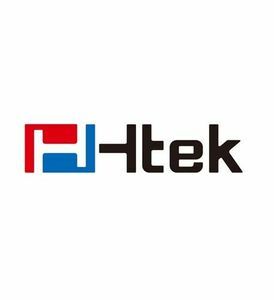 Premises-based phone systems need the capacity for your peak call times, even if that’s only a couple of weeks per year. A cloud phone solution allows you to pay per user not peak call times. Phone systems need to be maintained and managed. Especially when integrations with other applications and services are involved, this can be quite costly. If management is outsourced to a third party, charges are typically incurred for a minimum number of service calls per year, whether you need them all or not. With a cloud-based system, management is simple via your online interface. A large team of technicians or field managers is not necessary. All remote sites can be managed from a single location. How many hours per week would it take to manage our system? How many people are required? How much will it cost to hire someone to support this system? Keeping your communications system secure is essential if you want to protect your company from costly fraud attacks. Smaller premises-based systems (in particular) are prone to attacks. A cloud-based solution is protected in a highly secure network. How many times has this type of system been hacked? Does the manufacturer release any data on fraud occurrences? Do I have to pay all the costs in the event of our system being hacked? Explore all the costs involved in your phone system. Ask questions to get a clear picture of what you’re getting for what you’re paying. Contact a Quantum Internet Solutions specialist for a complimentary quote on a cloud-based phone solution for your business. The real estate field is highly competitive. To succeed as a real estate agent, you need every advantage you can get, and a hosted phone system can give you a communication advantage. As a real estate agent, your life revolves around communication. You are in constant contact with existing clients, prospective clients, referral partners, mortgage brokers, contractors, movers, and other allied partners day in and day out. Exceptional communication is the difference between success and struggle. A hosted phone system can provide you with a multitude of valuable features that can have a positive impact on your bottom-line. A hosted phone system can route calls to mobile phones, landlines, or even a computer. It’s a seamless and speedy process that allows your entire real estate team to stay connected even when working remotely. With features like voicemail-to-email and voicemail-to-text, call forwarding, video conferencing, and more, staying connected is simpler than ever. Even in a power outage, a hosted phone system will continue to function because it is cloud-based. The auto-attendant feature is a powerful partner in your real estate business. It functions as a virtual receptionist, professionally answering the phone and directing calls to the appropriate person, department or extension. Using the auto-attendant feature is fast and easy. You can change the greeting quickly and simply, making it a practical option to further your marketing and promotional efforts in real-time. For example, you can have the auto-attendant greeting highlight a limited-time promotion or an aspect of your business you’d like to focus on (such as home staging). Many real estate agents have clientele from all over the world. Even if most of your clients are local there will always be some from other countries or provinces. Getting multiple phone numbers can be costly and is not always the most effective strategy. A hosted phone system enables you to easily and affordably get multiple numbers, including toll-free numbers or a “local” number for another location. A hosted phone system has many advantages for real estate agents. It is a truly affordable solution, giving you enterprise features for one small business price. With no hardware to maintain, there’s no need to spend valuable time and resources trying to maintain your phone system. Contact a Quantum Internet Solutions specialist today to find out more about how a hosted phone system can help your real estate business to succeed.